With WebSite X5 no programming skills are required! 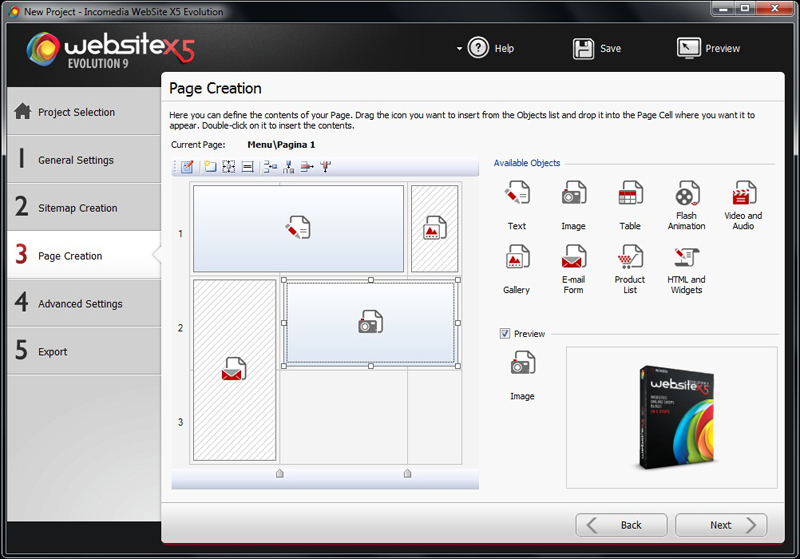 You can create your very own sites, blogs and online stores using a fully-visual and intuitive interface. Choose your template, then Drag&Drop; your text, image, video, gallery, widget or e-mail form object into the grid to create the content. With the same simplicity you can set the e-commerce, blog, and reserved area advanced settings and get your website online with the built-in FTP engine.